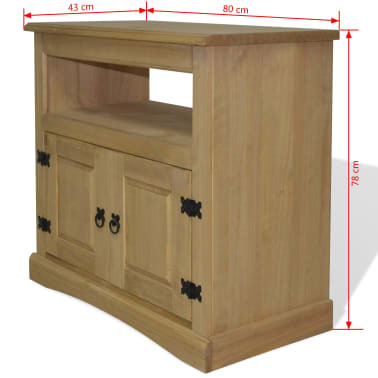 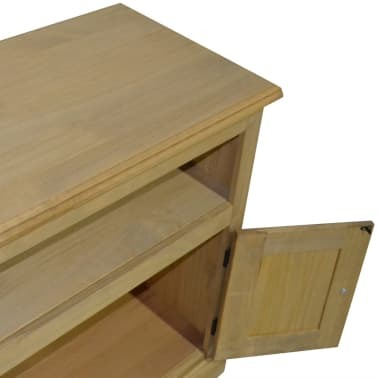 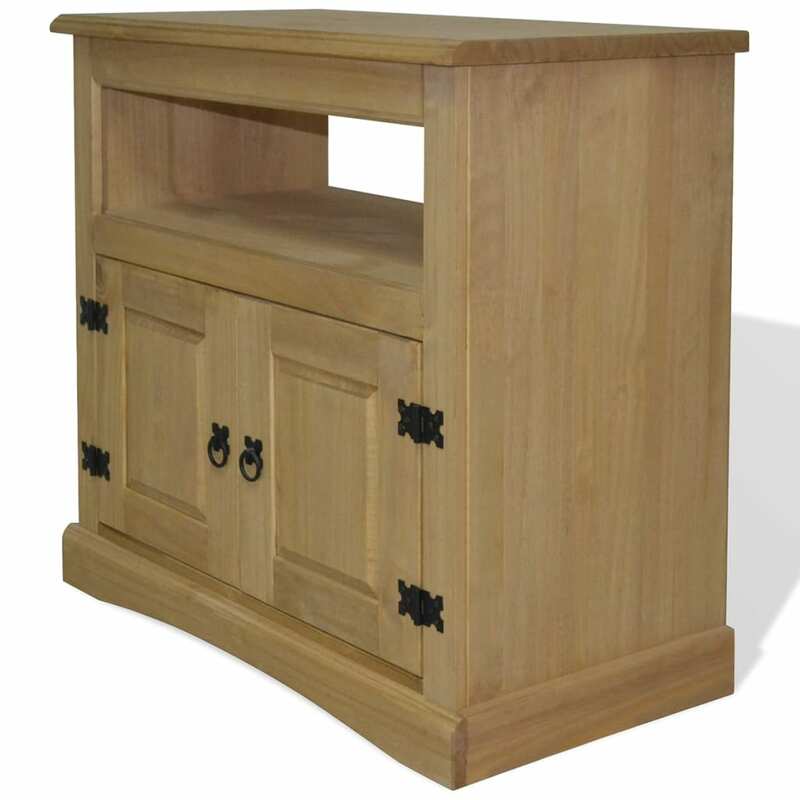 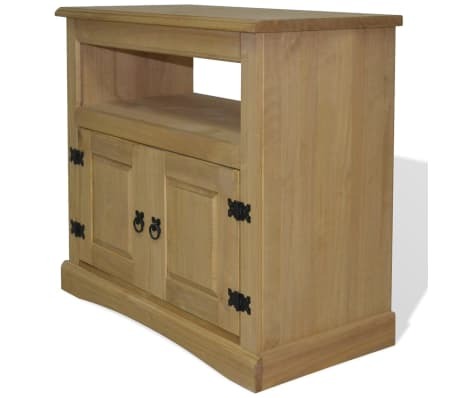 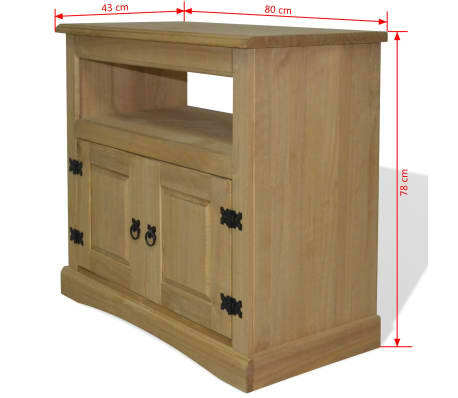 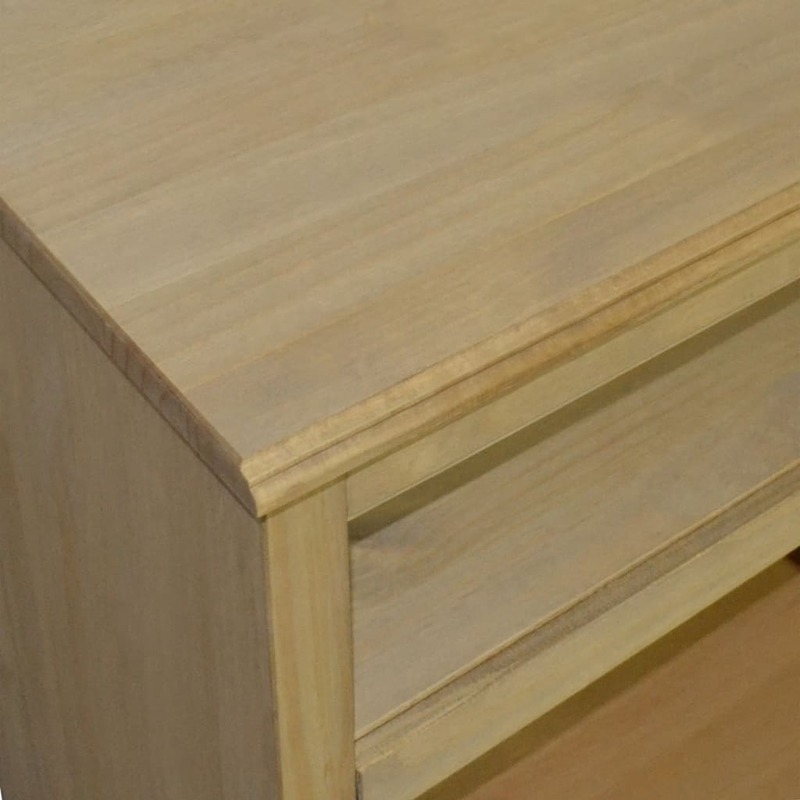 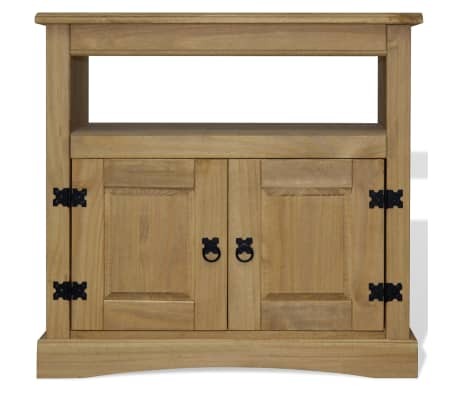 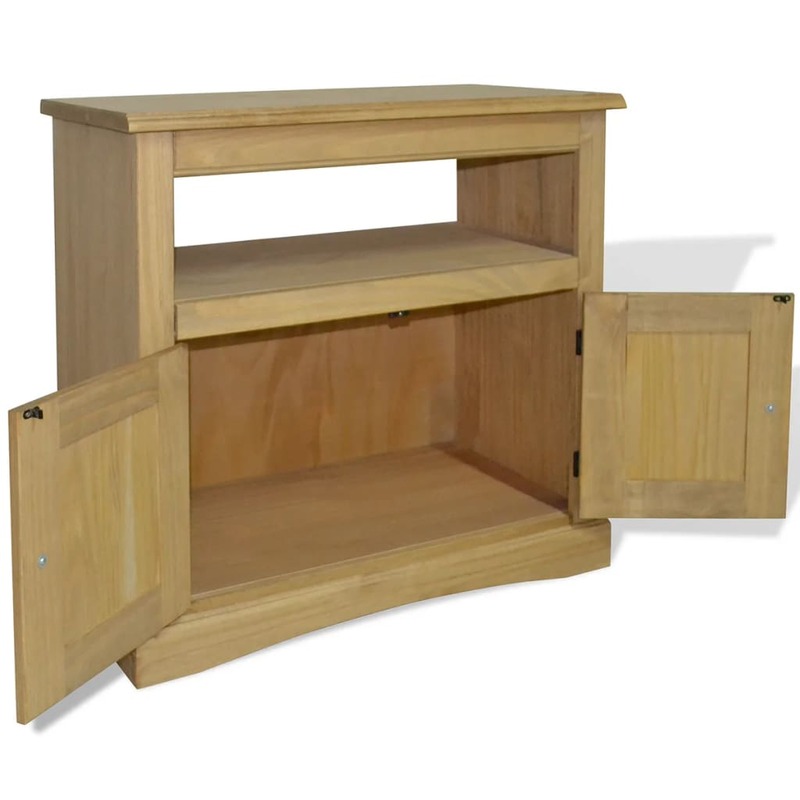 This high-quality TV cabinet is a piece of furniture in the Mexican 'Corona' style. 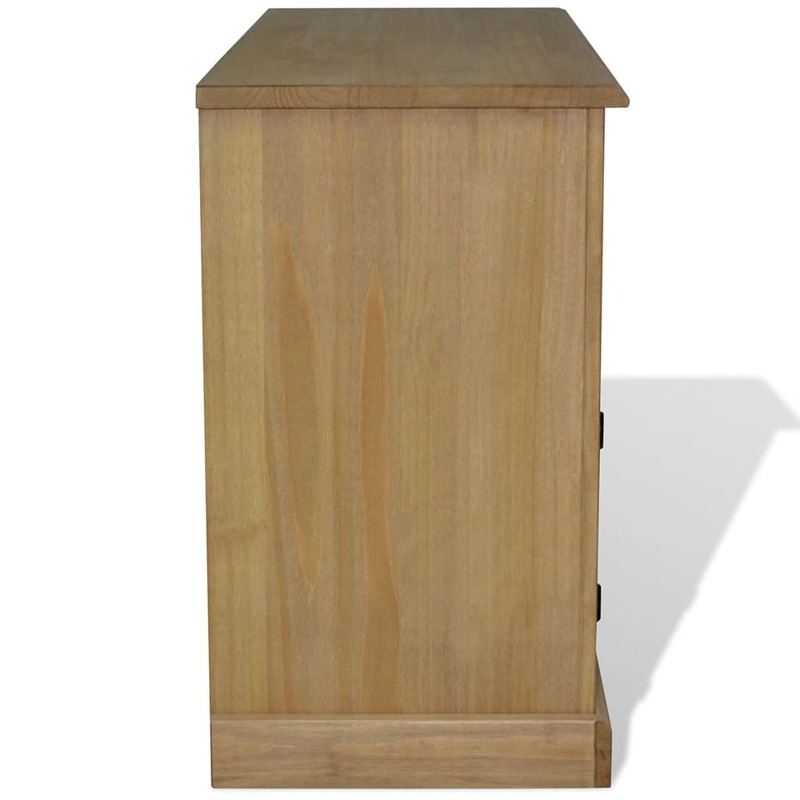 The Hi-Fi cabinet exudes a rustic Mexican charm that will make it a great addition to your living room. The entertainment center has a sturdy top on which you can place your TV, lamps, or decorative items like photo frames, fruit baskets or vases. 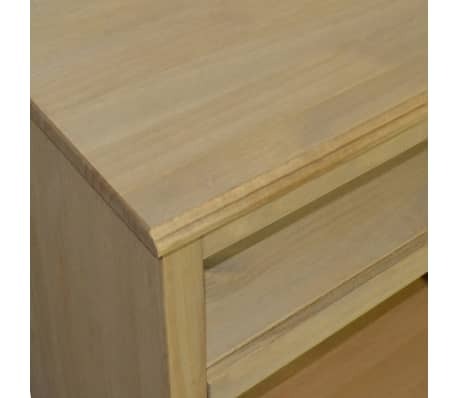 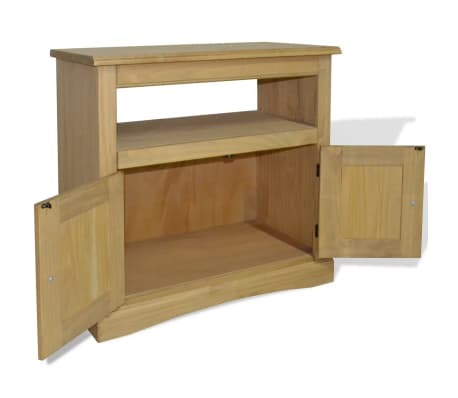 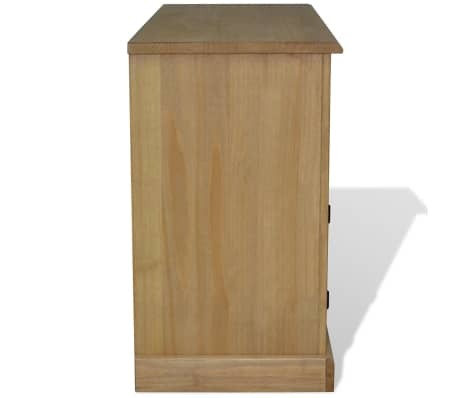 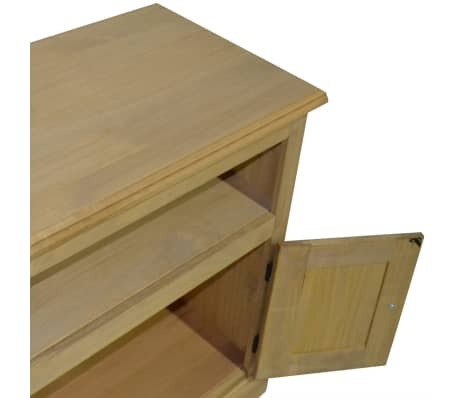 It features 1 cabinet and 1 shelf, providing ample space for organizing books, magazines and other items, or keeping your DVD player, game console, or streaming device. 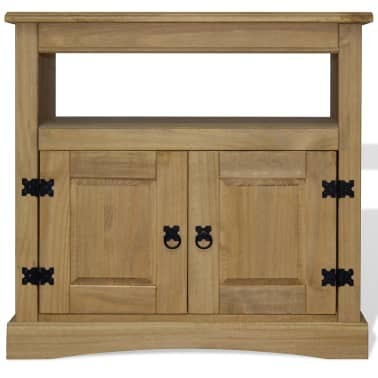 vidaXL 4-Tier Bookcase Mexican Pine Corona Range 31.9"x11.4"x59"
vidaXL Coffee Table Mexican Pine Corona Range 39.4"x23.6"x17.7"